Picture - A poison gas attack using gas cylinders in World War I. The use of poison gases in World War I ranged from disabling chemicals, such as tear gas and the severe mustard gas, to lethal agents like phosgene and chlorine. This chemical warfare was a major component of the first global war and first total war of the 20th century. The killing capacity of gas, however, was limited - only four percent of combat deaths were due to gas. 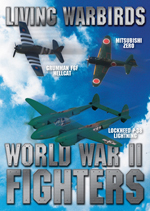 Because it was possible to develop effective countermeasures against attacks, gas was unlike most other weapons of the period. In the later stages of the war, as the use of gas increased, its overall effectiveness diminished. This widespread use of these agents of chemical warfare, and wartime advances in the composition of high explosives, gave rise to an occasionally expressed view of World War I as "the chemists' war". The early military uses of chemicals were as a tear-inducing irritant (lachrymatory), rather than fatal or disabling poisons. During the first World War, the French army were the first to employ gas, using 26 mm grenades filled with tear gas (ethyl bromoacetate) in August 1914. The small quantities of tear gas delivered, roughly 19 cm� per cartridge, were not even detected by the Germans. The stocks were rapidly consumed and by November a new order was placed by the French military. As bromine was scarce among the Entente allies, the active ingredient was changed to chloroacetone. According to the fieldpost letter of Major Karl von Zingler, the first chlorine gas attack of German military took place before 2 January 1915: "In other war theaters it does not go better and it has been said that our Chlorine is very effective. 140 English officers have been killed. This is a horrible weapon...". By 22 April 1915, the German Army had 168 tons of chlorine deployed in 5,730 cylinders opposite Langemark-Poelkapelle, north of Ypres. 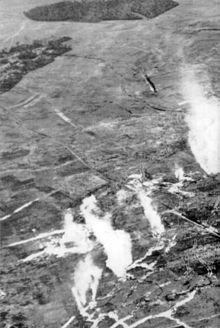 At 17:00, in a slight easterly breeze, the gas was released, forming a gray-green cloud that drifted across positions held by French Colonial troops from Martinique who broke ranks, abandoning their trenches and creating an 8,000-yard (7 km) gap in the Allied line. However, the German infantry were also wary of the gas and, lacking reinforcements, failed to exploit the break before the 1st Canadian Division and assorted French troops reformed the line in scattered, hastily prepared positions 1,000 to 3,000 yards apart. The Entente governments quickly claimed the attack was a flagrant violation of international law, but Germany argued that the Hague treaty had only banned chemical shells, rather than the use of gas projectors. It quickly became evident that the men who stayed in their places suffered less than those who ran away, as any movement worsened the effects of the gas, and that those who stood up on the fire step suffered less-indeed they often escaped any serious effects-than those who lay down or sat at the bottom of a trench. Men who stood on the parapet suffered least, as the gas was denser near the ground. The worst sufferers were the wounded lying on the ground, or on stretchers, and the men who moved back with the cloud. Chlorine was, however, less effective as a weapon than the Germans had hoped, particularly as soon as simple counter-measures were introduced. The gas produced a visible greenish cloud and strong odour, making it easy to detect. It was water-soluble, so the simple expedient of covering the mouth and nose with a damp cloth was somewhat effective at reducing the effect of the gas. It was thought to be even more effective to use urine rather than water, as it was known at the time that chlorine reacted readily with urea (present in urine) to form dichlorourea. Chlorine required a concentration of 1,000 parts per million to be fatal, destroying tissue in the lungs, likely through the formation of hydrochloric acid when dissolved in the water in the lungs (2Cl2 + 2H2O → 4HCl + O2). Despite its limitations, however, chlorine was an effective psychological weapon-the sight of an oncoming cloud of the gas was a continual source of dread for the infantry. Counter-measures were quickly introduced in response to the use of chlorine. The Germans issued their troops with small gauze pads filled with cotton waste, and bottles of a bicarbonate solution with which to dampen the pads. 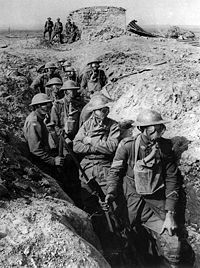 Immediately following the use of chlorine gas by the Germans, instructions were sent to British and French troops to hold wet handkerchiefs or cloths over their mouths. Simple pad respirators similar to those issued to German troops were soon proposed by Lieut.-Colonel N.C. Ferguson, the A.D.M.S. of the 28th Division. These pads were intended to be used damp, preferably dipped into a solution of bicarbonate kept in buckets for that purpose, though other liquids were also used. Because such pads could not be expected to arrive at the front for several days, army divisions set about making them for themselves. The locally available muslin, flannel and gauze were used, and officers sent to Paris to buy additional quantities, and local French women were employed making up rudimentary pads with string ties. Other units used lint bandages manufactured in the convent at Poperinge. Pad respirators were sent up with rations to British troops in the line as early as the evening of 24 April. 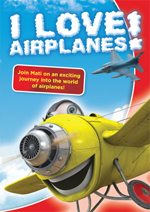 In Britain the Daily Mail newspaper encouraged women to manufacture cotton pads, and within one month a variety of pad respirators were available to British and French troops, along with motoring goggles to protect the eyes. The response was enormous and a million gas masks were produced in a day. Unfortunately, the Mail's design was useless when dry and caused suffocation when wet-the respirator was responsible for the deaths of scores of men. By 6 July 1915, the entire British army was equipped with the far more effective "smoke helmet" designed by Major Cluny MacPherson, Newfoundland Regiment, which was a flannel bag with a celluloid window, which entirely covered the head. The race was then on between the introduction of new and more effective poison gases and the production of effective counter-measures, which marked gas warfare until the armistice in November 1918. It is a cowardly form of warfare which does not commend itself to me or other English soldiers… We cannot win this war unless we kill or incapacitate more of our enemies than they do of us, and if this can only be done by our copying the enemy in his choice of weapons, we must not refuse to do so. The first use of gas by the British was at the Battle of Loos, 25 September 1915, but the attempt was a disaster. Chlorine, codenamed Red Star, was the agent to be used (140 tons arrayed in 5,100 cylinders), and the attack was dependent on a favorable wind. However, on this occasion the wind proved fickle, and the gas either lingered in no man's land or, in places, blew back on the British trenches. This debacle was compounded when the gas could not be released from all the British canisters because the wrong turning keys were sent with them. Subsequent retaliatory German shelling hit some of those unused full cylinders, releasing more gas among the British troops. It has been claimed that some of the British troops at Loos were not equipped with gas masks and were, therefore, defenseless against the gas. The deficiencies of chlorine were overcome with the introduction of phosgene, which was prepared by a group of French chemists led by Victor Grignard and first used by France in 1915. Colourless and having an odor likened to "mouldy hay," phosgene was difficult to detect, making it a more effective weapon. Although phosgene was sometimes used on its own, it was more often used mixed with an equal volume of chlorine, with the chlorine helping to spread the denser phosgene. The Allies called this combination White Star after the marking painted on shells containing the mixture. 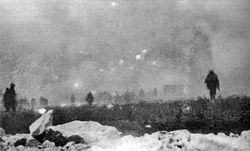 In the first combined chlorine/phosgene attack by Germany, against British troops at Wieltje near Ypres, Belgium on 19 December 1915, 88 tons of the gas were released from cylinders causing 1069 casualties and 69 deaths. The British P gas helmet, issued at the time, was impregnated with sodium phenolate and partially effective against phosgene. The modified PH Gas Helmet, which was impregnated with phenate hexamine and hexamethylene tetramine (urotropine) to improve the protection against phosgene, was issued in January 1916. Picture - A Canadian soldier with mustard gas burns, 1917/1918. The polluting nature of mustard gas meant that it was not always suitable for supporting an attack as the assaulting infantry would be exposed to the gas when they advanced. 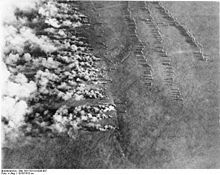 When Germany launched Operation Michael on 21 March 1918, they saturated the Flesquix�res salient with mustard gas instead of attacking it directly, believing that the harassing effect of the gas, coupled with threats to the salient's flanks, would make the British position untenable. Gas never reproduced the dramatic success of 22 April 1915; however, it became a standard weapon which, combined with conventional artillery, was used to support most attacks in the later stages of the war. 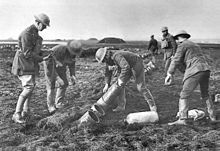 Gas was employed primarily on the Western Front-the static, confined trench system was ideal for achieving an effective concentration. 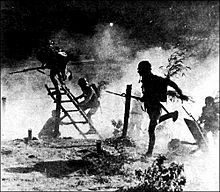 Germany also made use of gas against Russia on the Eastern Front, where the lack of effective countermeasures resulted in deaths of over 56,000 Russians, while Britain experimented with gas in Palestine during the Second Battle of Gaza. Russia began manufacturing chlorine gas in 1916, with phosgene being produced later in the year. However, most of the manufactured gas was never used. Public opinion had by then turned against the use of such weapons, which led to the Geneva Protocol, a treaty banning the use (but not the stockpiling) of lethal gas and bacteriological weapons which was signed by most First World War combatants in 1925. Most countries that signed ratified it within around five years, although a few took much longer - Brazil, Japan, Uruguay and the United States did not do so until the 1970s, and Nicaragua ratified it only in 1990. The contribution of gas weapons to the total casualty figures was relatively minor. British figures, which were accurately maintained from 1916, recorded that only 3% of gas casualties were fatal, 2% were permanently invalid and 70% were fit for duty again within six weeks. Picture - John Singer Sargent's 1918 painting Gassed. Picture - British 55th (West Lancashire) Division troops blinded by tear gas during the Battle of Estaires, 10 April 1918. Mustard gas did not need to be inhaled to be effective - any contact with skin was sufficient. Exposure to 0.1 ppm was enough to cause massive blisters. Higher concentrations could burn flesh to the bone. It was particularly effective against the soft skin of the eyes, nose, armpits and groin, since it dissolved in the natural moisture of those areas. Typical exposure would result in swelling of the conjunctiva and eyelids, forcing them closed and rendering the victim temporarily blind. Where it contacted the skin, moist red patches would immediately appear which after 24 hours would have formed into blisters. Other symptoms included severe headache, elevated pulse and temperature (fever), and pneumonia (from blistering in the lungs). Many of those who survived a gas attack were scarred for life. Respiratory disease and failing eyesight were common post-war afflictions. Of the Canadians who, without any effective protection, had withstood the first chlorine attacks during 2nd Ypres, 60% of the casualties had to be repatriated and half of these were still unfit by the end of the war, over three years later. One notable poison gas victim of World War I was Adolf Hitler, who was temporarily blinded while healing in an hospital in Wervik. As a result, in part Hitler adamantly refused to authorize the use of poison gas on the battlefield during World War II. He also was concerned about retaliation. However, poison gas agents such as carbon monoxide and Zyklon B were used against civilians in extermination camps. The distribution of gas cloud casualties was not only limited to the front. Nearby towns were at risk from winds blowing the poison gases through. Civilians rarely had a warning system put into place to alert their neighbors of the danger. In addition to poor warning systems civilians often did not have access to effective gas masks. Although official numbers of civilian casualties are around 5,200 it is very likely there were many more. Picture - British Vickers machine gun crew wearing PH gas helmets with exhaust tubes. Picture - Australian infantry wearing Small Box Respirators, Ypres, September 1917. Self-contained box respirators represented the culmination of gas mask development during the First World War. Box respirators used a two-piece design; a mouthpiece connected via a hose to a box filter. The box filter contained granules of chemicals that neutralised the gas, delivering clean air to the wearer. Separating the filter from the mask enabled a bulky but efficient filter to be supplied. Nevertheless, the first version, known as the Large Box Respirator (LBR) or "Harrison's Tower", was deemed too bulky - the "box" canister needed to be carried on the back. The LBR had no mask, just a mouthpiece and nose clip; separate gas goggles had to be worn. It continued to be issued to the artillery gun crews but the infantry were supplied with the "Small Box Respirator" (SBR). Picture - Gas alert by Arthur Streeton, 1918. Humans were not the only ones that needed protection from gas clouds, however. Horses and mules were important methods of transportation that could be endangered if they came into close contact with gas. 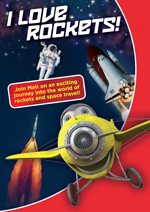 This was not so much of a problem until it became common to launch gas great distances. This caused many researchers to develop masks that could be used on animals such as dogs, horses, mules, and even carrier pigeons. A dog wearing a gas mask in WWI. A horse and rider equipped with a gas mask. A WWI pigeon loft equipped with gas protection. 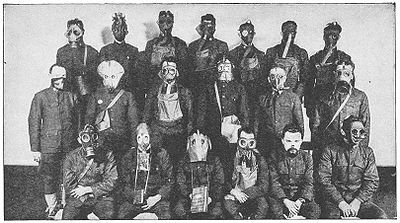 Picture - Various gas masks employed on the Western Front during the war. Picture - A British cylinder release at Montauban on the Somme, June 1916 - part of the preparation for the Battle of the Somme. Picture - German gas attack on the eastern front. Delivering gas via artillery shell overcame many of the risks of dealing with gas in cylinders. The Germans, for example, used 5.9-inch (150 mm) artillery shells ("five-nines"). Gas shells were independent of the wind and increased the effective range of gas, making anywhere within reach of the guns vulnerable. 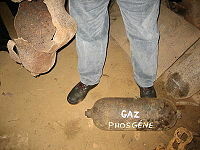 Gas shells could be delivered without warning, especially the clear, nearly odorless phosgene - there are numerous accounts of gas shells, landing with a "plop" rather than exploding, being initially dismissed as dud HE or shrapnel shells, giving the gas time to work before the soldiers were alerted and took precautions. Picture - Loading a battery of Livens gas projectors. Over 16,000,000 acres (65,000 km) of France had to be cordoned off at the end of the war because of unexploded ordnance. About 20% of the chemical shells were duds, and approximately 13 million of these munitions were left in place. This has been a serious problem in former battle areas from immediately after the end of the War until the present. Shells may be, for instance, uncovered when farmers plough their fields (termed the 'iron harvest'), and are also regularly discovered when public works or construction work is done. Picture - Chinese troops advancing through the gas during the Second Sino-Japanese War. Nevertheless, precautions were taken in World War II. In both Axis and Allied nations, children in school were taught to wear gas masks in case of gas attack. Italy did use poison gas against Ethiopia in 1935 and 1936, and the Empire of Japan used gas against China in 1941. Germany developed the poison gases tabun, sarin, and soman during the war, and used Zyklon B in their extermination camps. Neither Germany nor the Allied nations used any of their war gases in combat, despite maintaining large stockpiles and occasional calls for their use, possibly heeding warnings of awful retaliation. 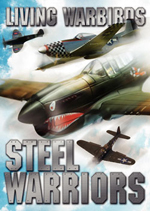 The United States did consider using gas to support their planned invasion of Japan. Chattaway, F. D. (1908). "The Action of Chlorine upon Urea Whereby a Dichloro Urea is Produced". Proceedings of the Royal Society of London. Series A, Containing Papers of a Mathematical and Physical Character 81 (549): 381-388. doi:10.1098/rspa.1908.0094. JSTOR 93011.